NIA’s Most Wanted People Fighting For ISIS!. 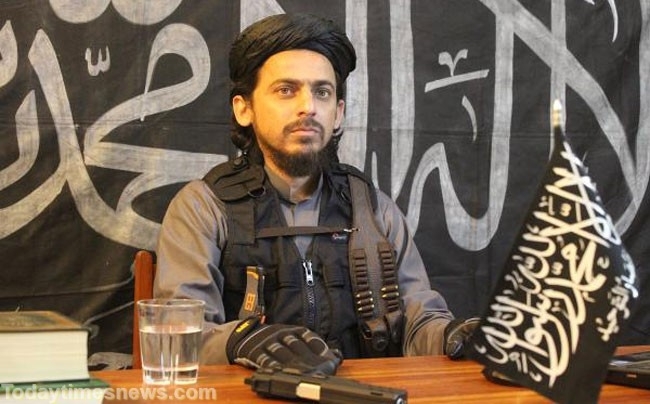 Abdul Rashid- Public Relations Officer, Shajeer Managalasseri Abdulla – Graduate from National Institute of Technology- Calicut NITC, Reffeala- Dentist etc: The elite names, despite their education, got united under the umbrella of ‘Islamic State’. The minds changed along with values that got washed out on the name of fighting for ‘Islamic State’. Let’s have in-depth look at those Indians who betrayed their nation infecting our ‘National Integrity’. 26th October 2016: The National Investigation Agency (NIA) probing activities of the South Indian module of the Islamic State (IS) launched search for two accused persons hailing from Palakkad and Thiruvananthapuram, who are currently abroad. NIA arrested seven among the 15 members of the IS module that had been operational in Kerala and Tamil Nadu. It is on the lookout fifth accused Mohammad Fayaz Abdul Salam alias Ali, a native of Kollengode in Palakkad. Also, Sidhik Hul Aslam of Vembayam in Thiruvananthapuram has been accused as the eighth accused. Both the accused are suspected to be in the Gulf. Shajeer Managalasseri Abdulla, the suspected kingpin of the Islamic State (IS) module in Kerala, is a graduate of National Institute of Technology-Calicut (NITC). An expert in information technology completed BTech in civil engineering in 2002 and left for UAE in 2004 after he landed a job there. Hailing from a middle-class family, Shajeer was a brilliant student, said his relatives and neighbours. Born to Mangalassery Abdulla and Subaida in 1981, Shajeer has two sisters and one brother, who is a driver with a leading jewellery in Kozhikode. His father passed away ten years ago. “He went to school at Sulthan Batheri in Wayanad where his father was a driver with the KSRTC. His family shifted to Moozhikkal near Kozhikode after he got admission at the NITC,” said one of his relatives. The family is yet to recover from the shock after learning that Shajeer has joined the terror organization. The kin were apprised of the developments when police visited their house at Moozhikkal three days ago. “We are clueless regarding what had happened to him and we don’t know what the Islamic State is,” said his brother and sister over the phone. “We survive with the money Shajeer regularly sends home. He is a loner, who kept aloof from everything,” they said. The National Investigation Agency (NIA) that has been probing the IS-related cases believes that Shajeer is the Emir (leader) of the Kerala module that was busted at Kanakamala recently and he has close links with the leadership of the terror outfit in Afghanistan. Holed up in the IS stronghold in Afghanistan, he was in touch with them through Telegram app and was regularly posting Malayalam propaganda material on Facebook via an account with profile name Sameer Ali. Shajeer was a supporter of the Social Democratic Party of India (SDPI), the political wing of the Popular Party of India (PFI) before joining the IS. He was active in the Facebook group `SDPI Keralam’ formed by the party cadres and sympathisers. However, he was never spotted at any events organized by the party. There were discussions in the Facebook group over the perceived change in the agenda of the organization. It is assumed that Shajeer got attracted to the IS ideology after he was disillusioned with the democratic path chosen by the PFI. Residents of Padanna, Dr K P Ijas, 28-year-old had studied medicine in China and worked at the local primary health centre in the village in Kerala’s Kasargod district. His wife Rifila was a dentist, who had studied at the Century Dental College in Kasargod, and the couple had briefly practised at a medical centre in Thiruvallur in Kozhikode. They had a son, Ayaan, not yet two, and Rifila was pregnant with their second child. Then, on May 28, the Ijas family vanished. Over the next few days, the extended family discovered, Ijas’s younger brother Shihas, 24, and his wife Ajmala, 22, also in an advanced stage of pregnancy, had gone missing as well. Likewise, his cousin Ashfaq Majeed, 25, who ran a hotel business in Mumbai, his wife Shamsiya, 23 and their 18-month-old daughter Ayisha also went missing. Their disappearance did not surprise the villagers at first. However, on July 9, when the police came around making inquiries, their parents began to suspect something was incorrect. The three couples were among 21 persons to have vanished from their homes in Kerala’s northernmost district over the past fortnight. Most of them lived in just two villages, Padanna and Thrikkaripur, also in Kasargod. It is for the first time that entire families-husbands, wives and children-have journeyed to IS’s so-called Caliphate. This small but significant flight of five families marks a new chapter in the organisation’s ability to attract and recruit followers remotely through social media. Ajmala’s Husband Shishas, the 24-year-old studied BBA in Bengaluru, enjoyed western music and partying as a youth. All that changed after his return from Mumbai three years ago. “He spoke of wanting to follow puritanical Islam and insisted family members too follow his line of faith,” his Uncle Mujeeb said. Shihas worked as a marketing executive with the Kozhikode-based Peace Educational Foundation, an Islamic educational trust run by a local businessman. Shihas’s wife Ajmala, who had a diploma in speech therapy, was an equally conservative Hijab- wearing Salafist. ” Ijas’s family was the first to leave. He told his mother he had got a job in Sri Lanka. Two days later, Shihas informed his parents about his new job in the Lakshadweep islands, for which he had to leave with his family. There was no contact after they left. 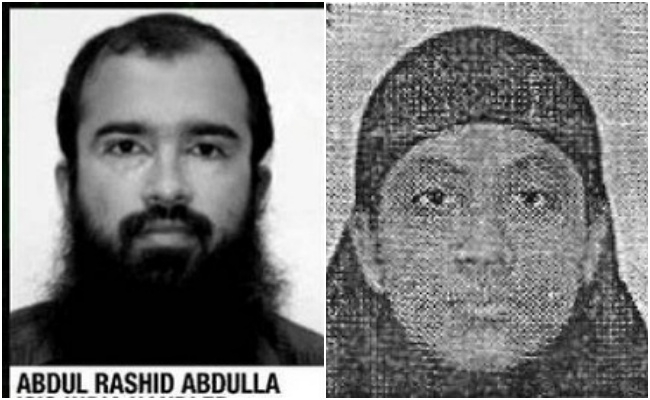 Ijas and Shihas allegedly influenced their aunt’s son Ashfaq and his family to join them. Ashfaq, a commerce graduate, helped his father run a hotel in Mumbai. His wife Shamsiya was a microbiology graduate from Coimbatore. On July 3, Khadeeja Abdul Hakkeem received a series of text messages from her son Hafissudin, 23. He had been missing for six days. The messages sent chills down her spine. “I have finally reached my destination with Allah’s blessings,” Hafissudin said. He praised the IS’s fight against “evil forces” and called his newly married wife (name withheld) to join him. Hafissuddin had passed his higher secondary exam in Abu Dhabi, where his father had been running a business for 30 years. His transformation began after he returned to Kerala, particularly after he came into contact with neighbour Ijas. Hakkeem blames the doctor for radicalising his son. “I curse myself for not being able to save him. He was very close to my neighbour, Dr Ijas, and his brother.” Hakkeem noticed the change in his son three years ago. He had become deeply religious and advised his father to close down his business and live as a ‘real Muslim’. He hated his mother and sister watching movies or television. His father dismissed these changes as “youthful idealism”. A loner at home, Hafissuddin never wanted to do business or work. His only passion was reading religious books and discussing the holy book with his neighbours. He was a member of a closed circuit that attended religious classes organised by the Peace Educational Foundation in Kozhikode. He gave in to his parent’s wishes and got married this March to a girl from a neighbouring village, refusing to shave or wear expensive clothes for his wedding. Intelligence agencies have detained at least one more youth wanting to go to IS territories. Firoz Khan, a former employee of the Peace Educational Foundation, was detained in Dongri, Central Mumbai, on July 11 after police tracked his mobile phone to the city. He was the last person to leave home in Padanna on June 27 for Iraq. Bindu, mother of Nimisha, alias Fathima, says Rashid and Shihas were in touch with her while she studied at the dental college. “When my daughter went missing from college in November 2015, I went to Rashid and asked about her whereabouts. I was told she had converted and married Bexon Vincent alias Easa,” said Bindu. “The group worked with students in professional colleges, motivating them to convert, collecting information on vulnerable students. “None of their activities ever came under the police scanner because they did not have criminal records,” says a Kannur police official. Rashid was a fanatic, who was making discreet recruitments for the IS. Educated in Oman, he had studied communications engineering in Pala in Kerala, where he found his wife, Sonia Sebastian, a Christian from Ernakulam, who converted to Islam and took the name Ayisha. Rashid and family left home on May 28, apparently to start a new business in Mumbai. Rashid left a lucrative job in Oman and returned to Kerala four years ago to work with a private firm in Ernakulam. He then quit the job to join the Foundation as administrative officer for a modest salary of Rs 30,000. His wife, a qualified software engineer who worked in MNCs, settled for a modestly paying teacher’s job with the Foundation. “These couples had ulterior motives to be in their village? It was a cover for them,” said a senior police official. Kunnath Thodik Shibi was among 21 persons from Kerala who reached IS-controlled Khorasan in 2016. The Shakeer, the elder brother of Shibi, received a message from Bexen Vincent alias Easa, another Kerala resident in Afghanistan, that Shibi was killed in a battle with security forces. Shibi is said to have left India between May and June 2016 from Palakkad to join the IS in Afghanistan. A red corner notice was issued against him in February this year. 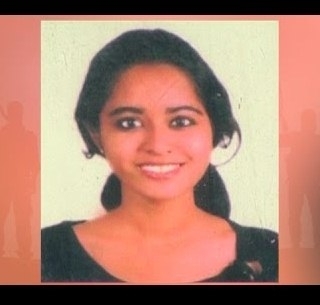 Merin Jacob alias Mariam, the 22-yr-old Kochi girl who has been missing along with her husband Bestin Vincent alias Yahiya for over a month and is suspected to have joined the Islamic State, had told her brother Ebin after her conversion to Islam that she was ready to use a gun to protect her Muslim brethren. Ebin also said that he had seen Kasaragod native Ashfaq Majeed in Mumbai along with Arshid Qureshi, a preacher with Islamic Research Foundation (IRF), in September 2014.Ashfaq is one of the 17 youths missing from Kasaragod. In an effort to convert Ebin, Bestin had taken him to Mumbai to meet Qureshi. Abdul Kalam of Malappuram, who was arrested from Kondotty, and Abdul Majeed of Kozhikode were charged with using and possessing fake currency in the case. The other accused in the case, Sanal Kumar, Abdullah Haji, and Mohammad Rafi, have not been charge-sheeted as they are yet to be arrested. He was arrested with Rs.24.16 lakh of fake currency in his possession. The NIA said in the charge sheet that Mohammad Rafi had been raising funds to smuggle fake notes into India since 2007. He allegedly concealed the fake notes in a package and handed it over to Gopinatha Kurup before he boarded a flight. Abdul Kalam allegedly received the fake currency from Abdullah Haji and handed it over to Rafi. 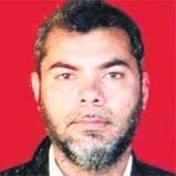 Enforcement Directorate officials said, an Audi car worth Rs 20 lakh registered in the name of Ayisha Abdulla, wife of accused Abdullah Haji – hailing from Ajanoor, Hosdurg, Kanhangad, Kasargod – also known as Haji Abdullah, Amitabh Bachan Haji and Muttimthala Haji was attached.Similarly, properties registered in the name of Ayisha and Haji’s children, Mohammed Sherief and daughter Shahina, were attached. Also Abdullah Haji, 55, a native of Kasargode in Kerala, was detained in the UAE for allegedly being part of the global syndicate involved in the smuggling with the help of Pakistan-based Iqbal Kana. A special NIA court here today convicted 13 people, owing allegiance to a radical Islamic outfit, in the sensational hand chopping case of a college professor in Kerala in 2010. 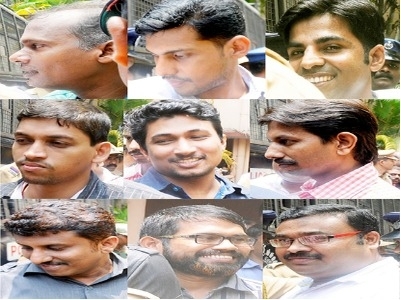 The five accused persons – Sajil of Randarkara near Muvattupuzha, M K Nazar, Shafeeque, Najeeb and Aziz Odakkali – are currently in judicial custody. But they are yet to face the trial. Only Savad, the first accused remains to be arrested. 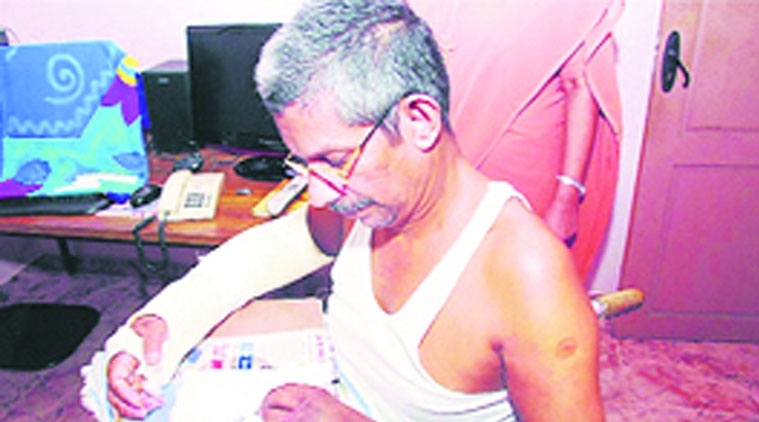 On July 4, 2010, a gang, alleged to be members of Popular Front of India (PFI) chopped off the palm of T J Joseph of Newman College involved in the question paper row. T J Joseph and family were returning home after attending the morning prayers at a church when the gang intercepted their vehicle. The seven member gang pulled T J Joseph out of the car and chopped off his right palm. According to the investigators, Savad and Sajil were directly involved in the attack and M K Nazar was the mastermind behind the attack. The attack was carried out in retaliation to Joseph’s ‘blaspheming’ of Prophet Mohammed in a question paper he prepared for his students at Newman College at Thodupuzha, where he was teaching Malayalam. The National Investigating Agency (NIA) has named the mastermind of the Bangalore terror plot as a city-based engineer who is presently holed up in Saudi Arabia. The NIA which filed a charge sheet before the court, said that he was identified through a portrait based on the description provided by the prime accused, Shoaib Ahmed Mirza. The portrait was later identified by the owner of a sports equipment shop, Ram Reddy, who named him as Yeshwantpur resident Zakir Ustad aka Mohammed Shaheed Faisal. Faisal studied engineering at the M.S. Ramaiah College from 2004 to 2008. When it comes to ISIS recruitments in India, he is the real big deal. He started out his journey along with Yasin Bhatkal, the leader of the Indian Mujahideen who was arrested last year. The name of Armar cropped up for the first time when Yasin Bhatkal spilt the beans on him. Bhatkal in his interrogation had told the NIA that Armar was part of a team comprising, Anwer Bhatkal, Shafi Armar, Hussain Farhan Mohammed, Salim Ishaqi and Afeef Mota who were handpicked to undergo training in North Waziristan. At that time around they were training for the Al Qaeda. Armar who showed great potential was made the leader of the Ansar-ul-Tawhid (AUT) . After he began his recruitment drive, it was Abu Bakr Al-Baghdadi who endorsed him openly as the Emir. Armar is part of a cycle which evaluates talent online before roping them in. He does not undertake the entire job. All he does is evaluates the youth after another person has selected them. The National Investigation Agency (NIA) has obtained what it calls a “kill list” prepared by handlers of the Islamic State targeting “ethical hackers, software managers” — computer professionals, some of whom are said to have helped security agencies track down ISIS members and potential recruits. The list has names from across the world and details of over 150 such professionals across Maharashtra, nearly 70 from Mumbai. The list was found on a laptop belonging to alleged IS recruit Nasir Bin Yafi Chaus, a youth from Parbhani in Maharashtra, who has been arrested. This list was shared by his handler identified as Syria-based Shafi Armar alias Yusuf alias Farooque. The “kill list,” sources said, specifies names, designations, companies and email addresses of the “targets.” List was shared by Yusuf who wanted the module to target these professionals who they see as threat to their ideology. Many of these professionals are ethical hackers and some of them are also associated with various security agencies in curbing the IS menace. Kerala-based Salafi preacher, Mohammed Haneed, accused of persuading youngster to join the Islamic State of Iraq and Al-Sham (ISIS), have now spread to the Andaman and Nicobar Islands after the Mumbai crime branch officers learnt that he had spent a full year there. 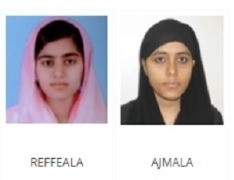 The National Investigation Agency (NIA) has approached the National Central Bureau (NCB), a wing under Central Bureau of Investigation that acts as Interpol in India, for issuing red corner notice (RCN) against 19 Keralites, including five women, who are believed to have joined Islamic State (IS) in Afghanistan. 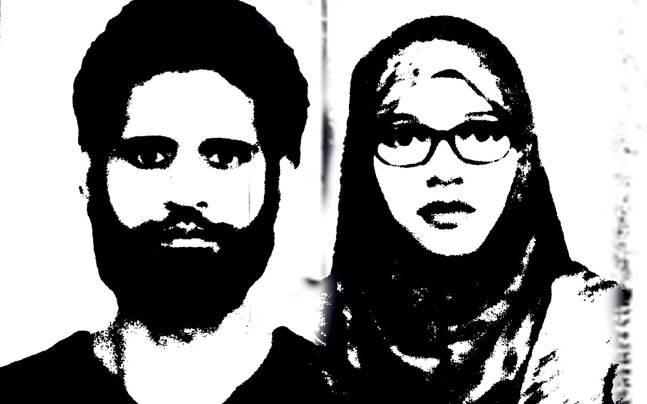 NIA has approached NCB to issue RCNs against Abdul Rasid alias Rashi (30) of Udumbunthala, his wife Sonia Sebastian alias Ayisha (29), Padanna-natives Mohammed Sahid (29), Murshid Mohammed T K (24), Hafesudheen Theke Koleth (23) Ashfaq Majeed (25), Dr Ijas (32), his wife Rafeela (25), Shihas (24) of Thekkepuram, his wife Ajmala, Yakkara-natives Bexen Vincent alias Isa alias Easa (31), his wife Fathima alias Nimisha (26), Bestin Vincent alias Yahiya (24), his wife Merin Jacob alias Mariyam (24), Shibi Kunnath Thodil (31) of Kanjikode, Muhammad Marwan (23) of Thrikaripur and Firoskhan M T P (24), Shamsiya Kuriya (24) and Muhammad Manzad of South Thrikaripur. ← Open Letter By Sri Ramesh Patange To Sri Prakash Ambedkar. Journalist arrested for criticizing Tipu Sultan as Congress-JDS govt. in Karnataka tries to please all sides.